Cartoonist Zunar has lost his bid to convince Malaysia’s High Court to quash that country’s Sedition Act. Zunar told the BenarNews: “We challenged the law because in our view it goes against the Federal Constitution, which in Article 10 states that every citizen has the right to freely give their views.” A date will now be set for Zunar’s prosecution under the Sedition Act. Zunar was charged over a series of tweets made following a controversial court case in 2015. If found guilty, he faces a possible 43-year prison sentence. Malaysia’s Sedition Act was enacted during the country’s colonial period by a British ruling class intent on discouraging independence-minded Malaysians. Malaysia’s current ruler, Prime Minister Najib Razak, promised in 2012 to repeal the Sedition Act, but has since come to rely on it to stifle dissent against his scandal-plagued government. 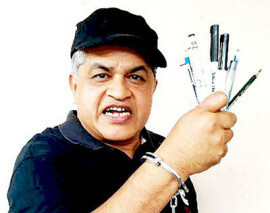 Zunar, Malaysia’s most internationally celebrated cartoonist, has faced government harassment since 2010. He has been arrested, jailed, had his books banned and seen his printers, booksellers, website managers and staff intimidated. In that time, Zunar has been awarded the Human Rights Watch Hellman/Hammett Award twice, Cartoonists Rights’ 2011 Courage in Editorial Cartooning award, the 2015 Committee for the Protection of Journalists’ International Press Freedom Award.